The legend of Isola continues! 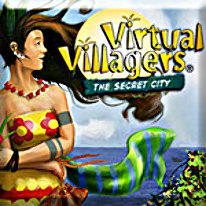 Embark on a journey with a group of villagers in search of a new part of the island to populate. Land on the hidden shores of the northern side of Isola and explore what was once a secret city. Find new sources of food to nourish your villagers and help them rebuild the remains of this mysterious city. Who lived here before? Where have they gone? What is the secret of Isola?